Leeds City Council call for a multi million-pound overhaul and refurbishment on the grade 1 listed building in the City Centre and the development of the Eastgate shopping center across the way. Causing an up-roar with the local traders. Is it beneficial? Will trades pick up? Lately, in Leeds some major face lifts are underway and set to make positive changes for the traders of Kirkgate market. Recently the relationships between the traders and the market management have been labored after disputes over stall prices, sales and the amount of people they get passing through the market place. 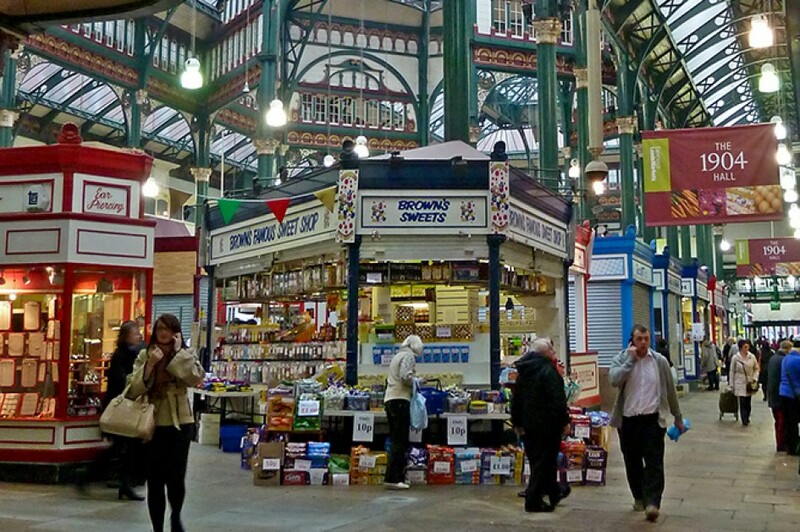 Currently, Kirkgate is the largest indoor market in Europe and has been open since 1822. Interserve was assigned the contract for 12.3 million-pounds to modernize the building. With an expected deadline to be finished fully by the Autumn, 2016. Including a new John Lewis store and make additional changes to the interior of the market, moving stalls around as the fish stalls are seen to be putting of potential shoppers to come to the market. A local trader stated that ‘I has been trading at the market for 63 years and have gained a good reputation, but I have seen a decline in the amount of people passing through in recent months, due to the constructions that are in action and the car-parks been limited or closed.